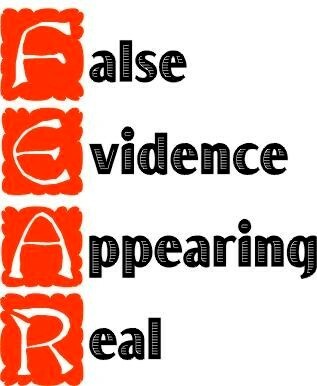 Christians, Stop Living In Fear! 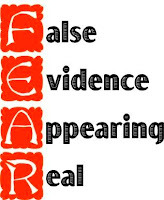 FEAR = False, Evidence, Appearing, Real. Fear is the motivation for so many things that we will do outside of the will of God. Out of fear you will keep silent when you should speak up, go along when you should stand firm, lash out when you should listen, give up when you should press on. It is why we tip when we should tithe, turn people away when we should reach-out,horde up for ourselves when we should give to others, condemn when we should console, hate when we should love. Yes, fear is so very crippling when we give in to it. Satan knows this. The world knows this, your government knows it, and the media knows it. They use it to get you to buy things you do not need, put things in your body that can harm you, get you to support preemptive strikes and wars of aggression, justify the bombing of thousands of innocent people, approve torture, give up your rights to dignity and respect, of privacy and freedom. The next time you are tempted to give in to your fears please allow me to remind you that the fear of the Lord is the beginning of wisdom and the only fear we are ever told to have in His word. When you do face evil in this life remember that God has told us that you and I must overcome evil with good!!! Do not fear what men can do to you, for they are not your true enemy. Even if they can destroy your body they can not destroy your soul. We do not wrestle against flesh and blood but with the powers and principalities of this present age. Your enemy, the devil, is like a roaring lion seeking what he can devour and fear is one of his most powerful weapons. But we are promised that if you and I will resist the devil he must flee from us. Satan would have you to live in fear but you do not have to nor should you! God has not given you a spirit of fear but that of a sound mind. Therefore take all your thoughts captive and make them obedient to Christ. Trust in the Lord with all your heart in all your ways acknowledge Him and He will direct your path. As I was praying and thinking about all that lay before us in the coming weeks, the Lord brought to my memory Ecc. 4 and it has given me much encouragement. I hope it will to you as well. Peter wrote today to report on the progress of the church plants in Rwanda. There were many people reached while they were there the past 13 days. This Past Sunday there were 46 in attendance at NDCM New Day Christian Ministry Bombei and a second church was also established in the village Gai with 17 members. Peter and Joseph left today to head back to their families in Kisii, Kenya having accomplished much for the Lord while in Rwanda. Last week here in PR we met with Pastor Jesus Ortiz in Hormigueros and have received full support in the use of their building, a sign, and an offer to go out with me to invite others to join us. In just 14 days we are headed to Kenya for two leader training conferences and two Vacation Bible Schools, Lord willing. 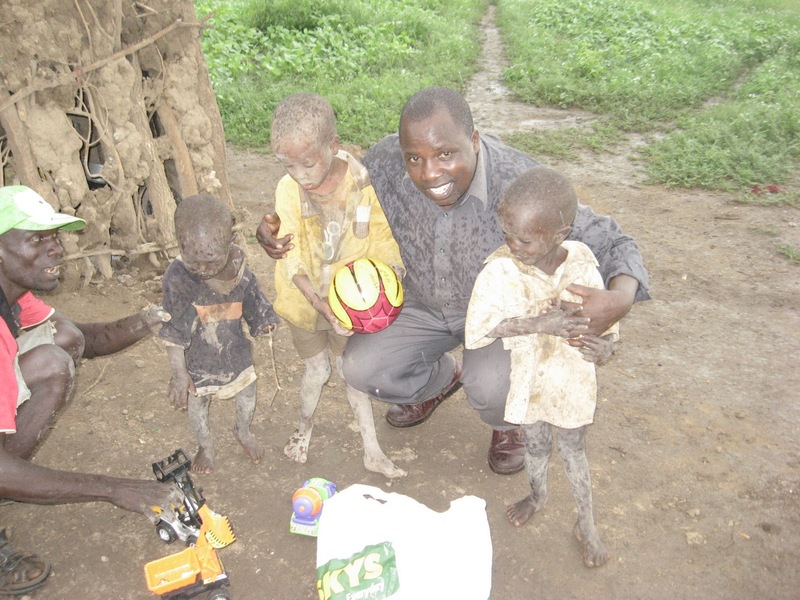 The opportunities are truly amazing, while the financial difficulties are also significant. 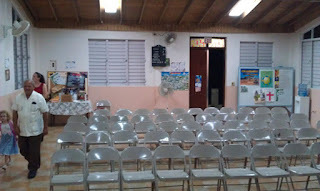 The cost for the church start was higher than expected and although they have tickets for the two day journey home they each need about $30 for food and lodging on their way home. (we have received $25 already, we lack $35) When our second Puerto Rican branch starts in March we will be driving over 120 miles each week and gas is a significant concern. The trip to Kenya still lacks $2,370 in support that is needed for the journey and we have only 8 days left until we need to leave. Truly a little can go a far way in the kingdom of God. 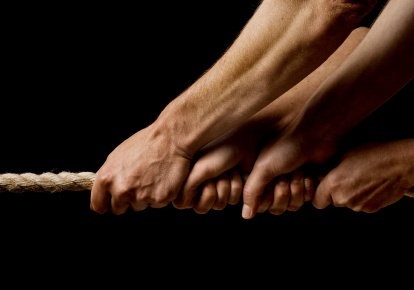 Working together we could do far more than we could ever accomplish on our own. If everyone who visited our web page, received our newsletters, and weekly updates gave just $5.00 a month each we would have enough support for all the work we have been given to do and would be lacking in nothing. We would truly be free to focus all our efforts on ministry. Would you be willing to join us in combining together to make a stronger more secure cord to pull out those who are struggling to get out of the mire and muck of this world? I pray you will! Thank you for whatever you are able and willing to do. May God richly bless you and making you a blessing as you continue to serve Him! 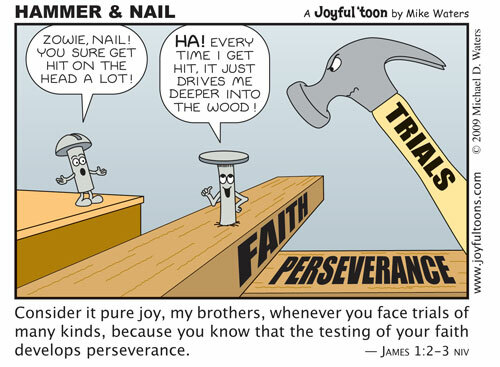 Have you faced any trials recently? Years ago, while still In college, my nephew and I took up memorizing the book of James. Time and time again those verse will be brought to my mind and heart as I face various trials and difficulties. Have you faced tribulations in your life yet? If you have not yet, you will. Jesus knows that we will have difficult situations that we will go through. He also told us how we can have peace even in the midst of the tribulations. Those of you who know me well know of the personal tribulations I have faced. Through those times God often would need to carry me through because I could not walk on my own. I can remember when reading God’s word, singing songs of praise, and being with other believers in church were the only glimpses of peace I had. Without Jesus and the Holy Spirit as my comforter I know I would not have lived through those times. I have been so blessed now with my wife and beautiful daughter. My wife Heather was an answer to many prayers and time spent walking and talking to God as I asked Him to give me a wife that was after His own heart. And our daughter Hannah was a blessing too great for me to put into words. Her smile fills both Heather and me with such great love. Her birth was a miracle and her love a gift from Heaven. God has been so gracious and merciful to me. I can never thank Him enough for the grace He has lavished on me. When I think of all that I have gone through, and all that I have received, my present troubles quickly faded away in the light of God’s abundant grace. We face troubles and tribulations for various reasons. The first is sin, both our own personal sin and the sin of others. We live in a world that is governed by sin and man’s desire to place himself above God. This has been our reality since Adam and Eve chose to follow Satan’s lie that man can be his own god and to what he wants to do rather than obey God. Their sin brought death not just to them but to the earth and those effects will be felt until God brings about the new Heaven and the new Earth. Man still chases after and believes the lie of Satan and that lie greatly affect us today. Unless you can find a way to exist apart and completely isolate yourself from every person on the planet and the effects of their actions you will always face the consequences of the sins of others while here on this earth. These actions are evidence that we have not yet given are lives over to God and his lordship in our lives. Christians who have the Spirit of God living inside them and choose not to obey are placing themselves in a place of suffering that they need not to be in. God teaches us that when we choose not to walk in the spirit but decide to walk in the flesh we will reap the consequences of that choice. God does not discipline us out of anger but out of love. He wants us to be growing and experiencing all that He has for us. When we are seeking the desires of the flesh we are at the same time saying no to God. Have you ever been around children that their parents have neglected to discipline? They are rude, disrespectful, and only concerned about their immediate wants and desires. They do not consider the people around them; all they care about is themselves. When they do not get what they want they go into tirades while their parents just look on and do nothing. Or they start bargaining with them to behave. These children grow up and behave the same way as they did as a child. When it does come time to discipline my daughter Hannah I will do so, not because I am angry but because I love her. The point of discipline is not for judgment but for correction. God desires to mold us into what we were meant to be and His discipline is for our benefit not our shame. A third area of suffering I want for us to look at is that of suffering for the cause of Christ. This suffering though it can be as painful if not more is a great privilege for us and one that will be rewarded in Heaven. Many times we will face trails that were not brought on by our sin but by our obedience for Christ. This can happen anywhere you or I sand firm and do not wavier in our faith and obedience to God. Most of us know the story of Cain and Abel. Abel was the first to suffer for obedience to God and his unwillingness to waver in that obedience. Cain instead of choosing to obey God like his brother decided it better to kill him in attempt to lower the standard instead of dealing with his own sin and repenting. This same line of thinking permeates in the heart of everyone that has followed and chosen to persecute the one who is obedient instead of repent and turn to God themselves. Sadly I have seen this too often in places that claim to be churches. Instead of obeying God they simply eliminate any one that does and challenges others to do so as well. As these last days come how much more of this will we truly see? It is easy for us to think that we are suffering merely because of bad choices we, or others have made but that is a naive understanding. We must remember that we are not struggling against one another. Our enemy is Satan, his forces of evil in this present darkness, and our own desire for sin and the desires of the Flesh. When we face are selves against one another and are unwilling to forgive those who have wronged us we are allowing Satan to have the victory in our lives. He is getting what he wants when families come apart, churches split, we hurt one another, and we are not willing to love one another. When we do not love sacrificially like God loves us we are not walking in the Spirit but in the flesh, only pain and suffering will follow us. But do you want to hear the good news? It does not matter if you suffer whether because of the sin of others, the sins you have committed, or because you are suffering for the cause of Christ. God is greater than all of these. Each time God delivers us and shows us His mercy and grace it develops in us steadfastness. Each time we run into a challenge of faith and God delivers, our faith is strengthened and our faith and dependence on God deepens. If you want to be perfect and complete it only comes by learning to perfectly and completely trust God for all things at all times. I have learned a few things in my life as I have tried to be observant of my environment and the people around me. I have made a little mental list of things I will look for. This list has proved to be especially helpful to me when I come into a new town. 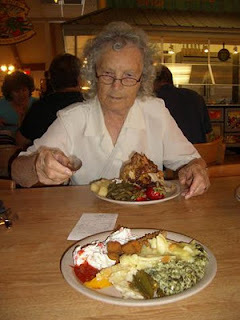 When I am hungry and traveling I have found that there is one truth that holds constant every time I am trying to find a good place to eat and it is this, “Look to see where the older people are going to eat!” I have learned that they know where the best food is and often at the best price. This simple truth has never let me down. If you question this logic just visit a Golden Corral (a large buffet style restaurant) during lunch time and look to see who is there. When it comes to being hungry and thirsty for the most part we have become experts on filling our bellies and tantalizing our taste buds, but what about our inner man? Do we spend as much thought, time, and effort feeding our inner man as we do our flesh? I have heard people who have been Christians for years say that they feel that they are not being fed on Sunday mornings. I have also heard from others talk about how their pastor is so eloquent with his words, they will often add that they feel they are being fed at church on Sunday mornings and are satisfied. I have always felt troubled by both of these lines of thought. It is true that we are to come together for the teaching and preaching of God’s word but this is not to be all of God’s leading, guiding, and providing that we should receive for the week and it is not the only reason we gather together. We also gather together to encourage each other, pray for others and share our requests, as well as to challenge each other in the faith as iron sharpens iron. The Christians who are only concerned about the presentation of the Sunday morning message act like they believe that the pastor or church Leaders are the only ones that can feed them, and Sunday morning is the only time that they can, “Be fed”. Let me put it this way. Let’s look for a second at the Christian who says he or she is fed at Sunday morning worship and feels satisfied. In this example Sunday morning is like the person who eats at the local buffet on Sundays. The person comes in, eats all that they can handle, and goes home. How long will that meal last? If it lasted for a whole day would that be enough to keep you fed for the whole week? Would you go a whole week without eating in hopes that there would be a good meal on Sunday at your favorite restaurant? What kind of physical shape would you be in if you spent years only eating once a week? What kind of Spiritual shape do you think you would be in? The Corinthians should have been spiritual people but they were not. They still needed to be fed milk like infants because they were not ready. This passage talks about milk for infants, what is this milk? My baby girl Hannah was absolutely dependent on her mother’s milk when she was first born. Without it she would have died and she needed to have it often. When she was hungry she would cry out to be fed. She knew that she needed her mother’s milk and was always more than willing to let her mother know she was hungry. At 6 months old she started to eat baby food and drink juice. She still needed her mother’s milk but only a few times a day. The rest of the time she started to eat food. As she grew she depended on her mother’s milk less and less and now she is able to eat her food for herself. New Born Christians need to be fed the milk of the gospel by more mature Christians. The knowledge of how God redeemed them from sin, their need for the Word of God, prayer, the empowering of the inner man by the Holy Spirit, The need to abide in Christ and He in them. We call this discipleship though sadly we do not see this occurring as often as we use to. As soon as a new believer learns this truth and starts to go to the Word of God and pray for the Holy Spirit to feed them they begin to mature. They are able to move up to baby food, and eventually to solid foods, they will begin to encounter situations that challenge them to place their trust in God more and more completely. As they mature they become better able to teach others, not just the Word of God, but the truths of God’s word that they have seen at work in their own lives as the Holy Spirit has taken from God and given to them. Sadly this is not the case of many of the church members today. They have attended Sunday morning after Sunday morning skimming along on milk year in and year out and still are unable to eat the solid food of God. Are you skilled in the word of righteousness? Are you having your powers of discernment trained by constant practice to distinguish good from evil? Are you being transformed by the renewing of your mind as you are being taught the Word of God by His Holy Spirit? Have you matured to the point that it is time to start teaching instead of needing to be taught again, but are not yet teaching? If so what is holding you back? The wonderful thing about God is every day is a fresh start with Him. His mercies are new every morning. If you know what God is leading you to do, all you need to do is obey. May God Bless you and draw you ever more closer to Him each day!